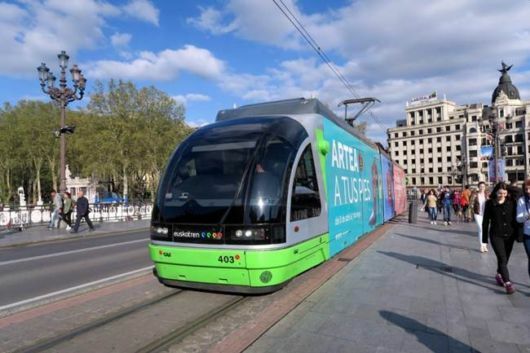 Some people do not know or do not want to believe that the tram ? the world?s best form of public transport. 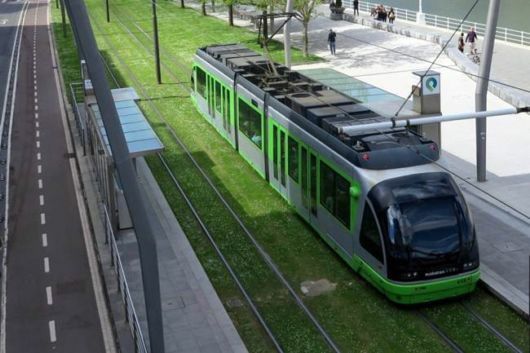 ?Trams noisy, slow, and do not know how to go around traffic jams!? they say. 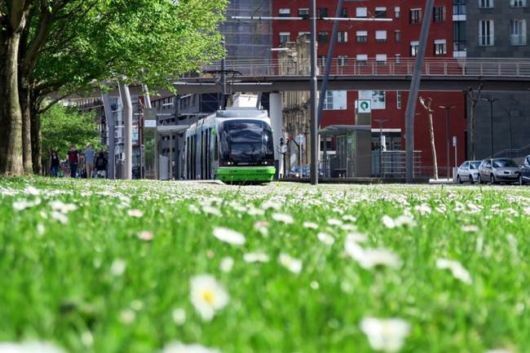 a bunch of reasons can cause such people about what modern tramway system solved all of these problems, tell them about the benefits of modern rail transport, that the tram is cute and beautiful. 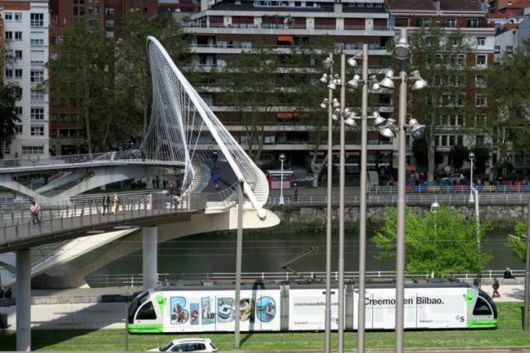 And you can just show them the tram in the Spanish city of Bilbao. 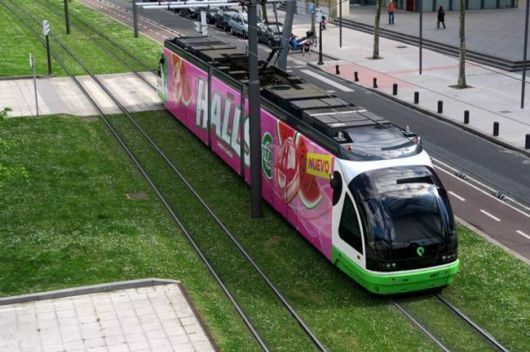 Ya many different trams seen in the world, but I think we cant see such type of. 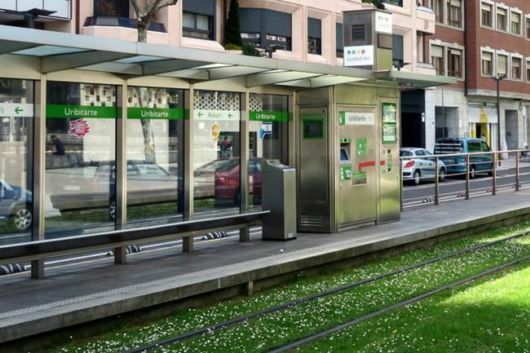 Tram in Bilbao started in 2002 as an alternative to urban subway. The authorities wanted to give the opportunity to the tourists to look at the city from the window until they get between the most famous sights. 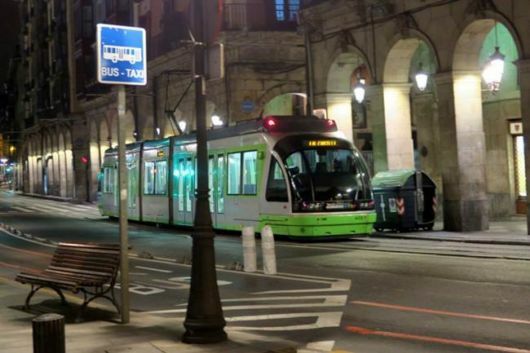 But locals love the tram, and often prefer to use them is to travel from one part of town to another. Well, as you can not love him ? Who has one branch, consisting of 12 stops. Planned expansion of the system ? the line continues, already building two additional stops. Travel costs ? 1.15, which is quite inexpensive by European standards. 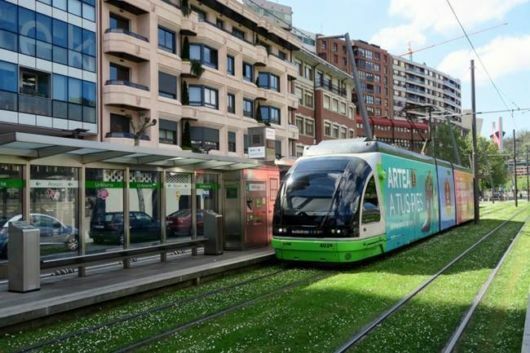 And in Bilbao on this beauty goes tram, and not crumples a blade of grass! 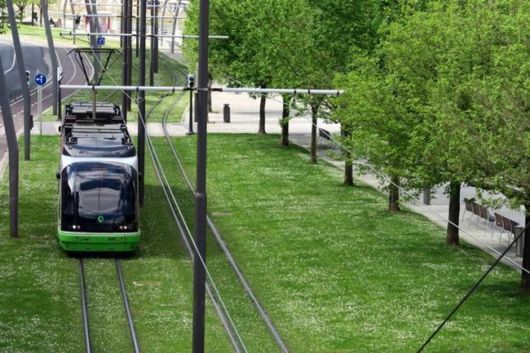 This is one of the main advantages of correctly made the tram system ? 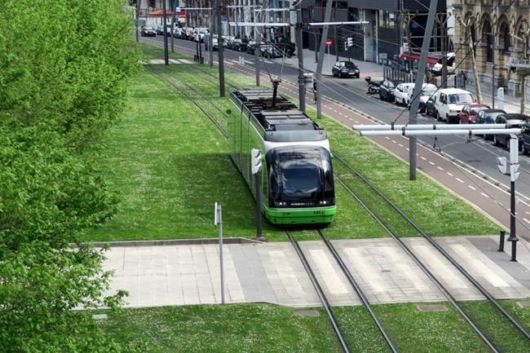 the ability to lay the rails on the green zones, right on the grass! Look how beautiful! 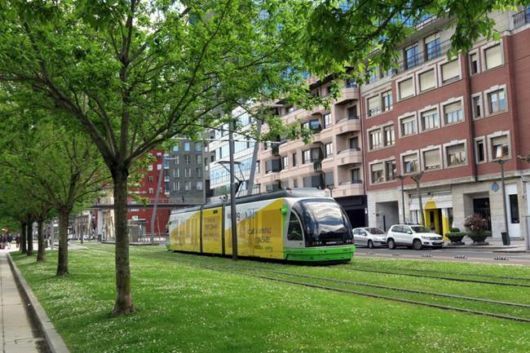 Green tram is very harmoniously integrated into the green environment. These paints are pleasing to the eye. The rails meander along a row of beautiful trees. 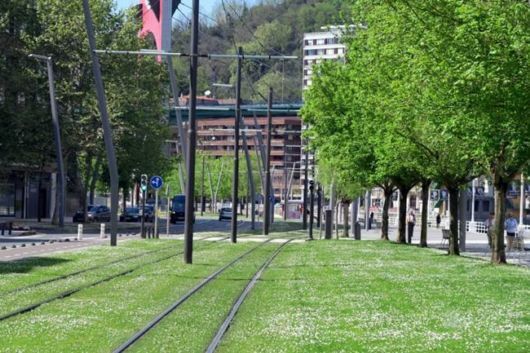 In Bilbao used narrow-gauge system, track width is 1000 mm. Rails run along the river. Green stripe, in which they go, complements the excellent public waterfront area. 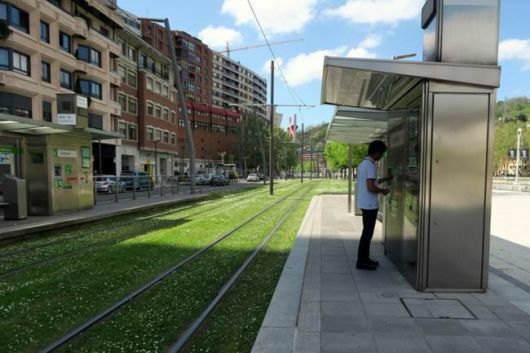 Here, comfortable benches, shady trees, a lawn with daisies and tram, bike path, sidewalk, and only then ? parked cars and roadway. Yes, the tram is located closer to the water than the bike path! Right, let tram passengers looking out the window and admire the water. Trams run frequently, every five minutes. Many local residents have the travel, others on the spot to buy tickets. Wagons low floor trams with low platforms stroller easily rolled up inside. One major advantage of rail transport, the possibility always exactly come close to the platform without unnecessary maneuvers. Trams run very quietly, do not rattle as the Moscow trams of my childhood. 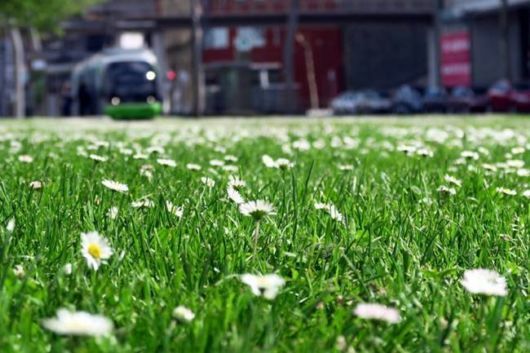 No other mode of transportation can not be so neatly slide over the field with daisies, without causing them any harm. 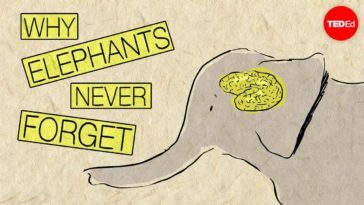 This is its main advantage! And as the other vehicles here do not go, do not go around and nothing. To go through the rails to make a special path, paved with tiles. A little further you can see the following ? among them several tens of meters. 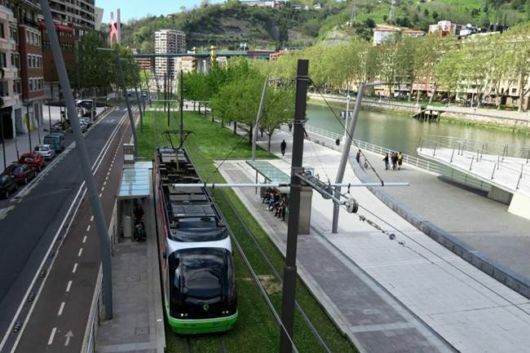 Where there is no room to make a separate green area, tram receives dedicated bandwidth, such as on this bridge over the river Nervión, where the roadway asphalt and tram tracks have decided to build on the beautiful cobblestones. Tram passes and along the shore of the Nervión from the old town, where his modern cars look great on a background of beautiful old buildings. Hours tram ? from 6 am to 11:30 pm. All formulations are made up of three sections, 25 meters in length. 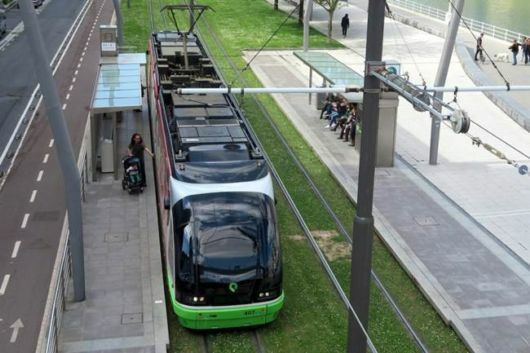 The capacity of the tram ? 192 places, 50 of them seated. These cars are made by CAF, which is located right here in the Basque Country. 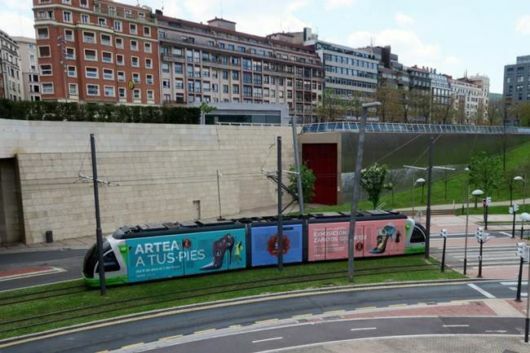 One slight drawback trams in Bilbao, is that they are often completely sealed with advertising that does not always fit the tram itself, and beautiful places through which he walks. No advertising is much more beautiful. And yet across the trams with advertising the city. Although it would seem that its advertising ? in fact the person who sees the tram is already here! 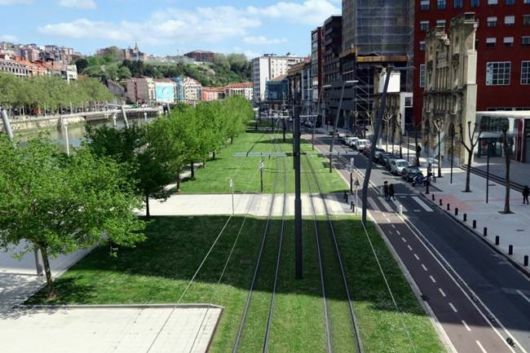 The tram line Bilbao ? the perfect example of how beautiful and convenient public transportation can be done, if we approach the issue wisely.